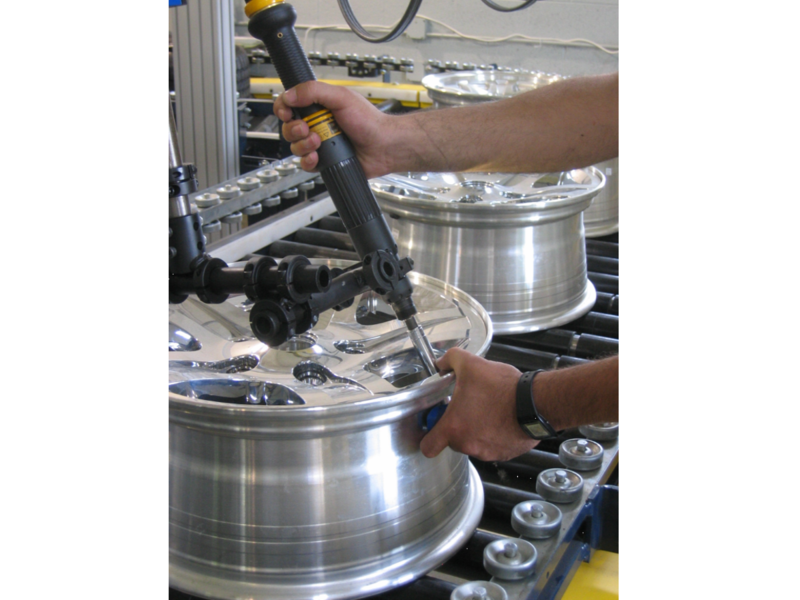 Equipment necessary for mounting, match marking, inflating, and bead exercising wheel & tire assemblies. 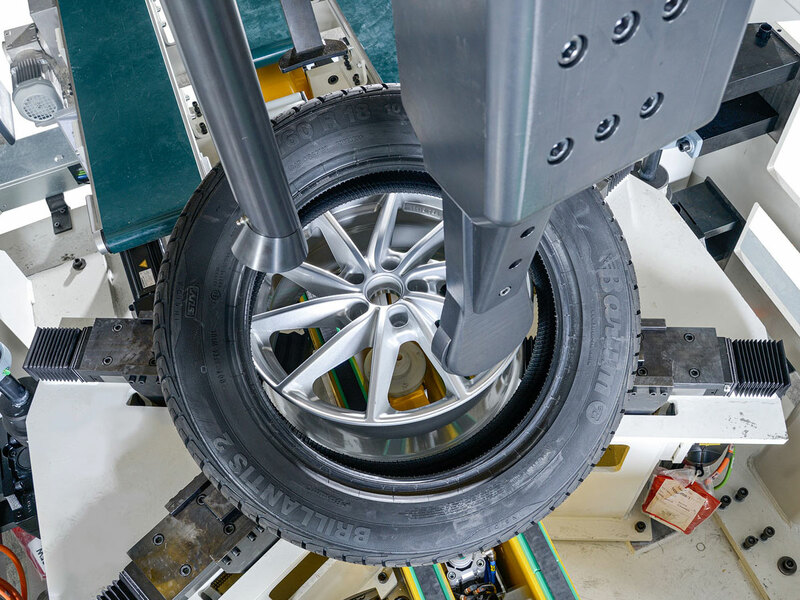 After years of working on a wide variety of wheel and tire assembly equipment, we have recently licensed some cutting-edge technology from SEIB Industrie GMBH in Germany. 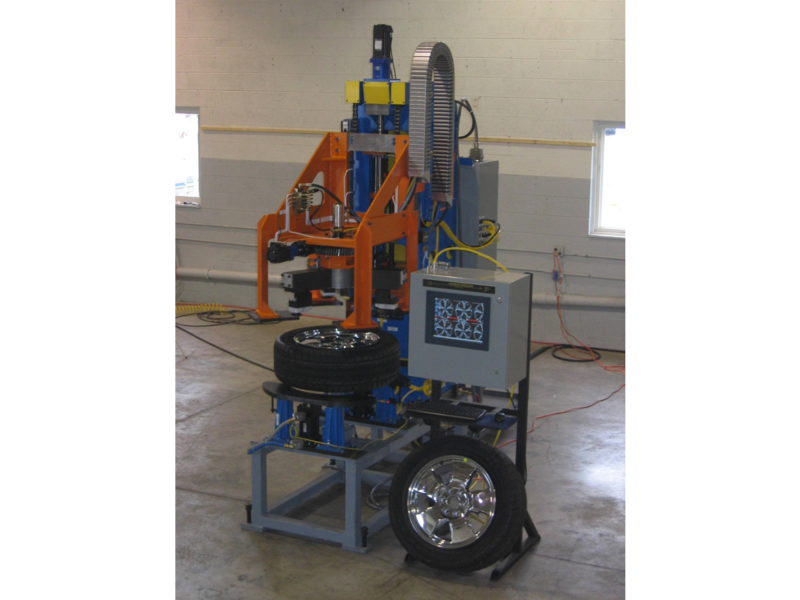 This newly licensed assembly equipment complements our existing Product Line which includes all equipment required for TPMs, Loading, Soaping, Match Marking, and Bead Exercising of Wheel & Tire assembly combinations. 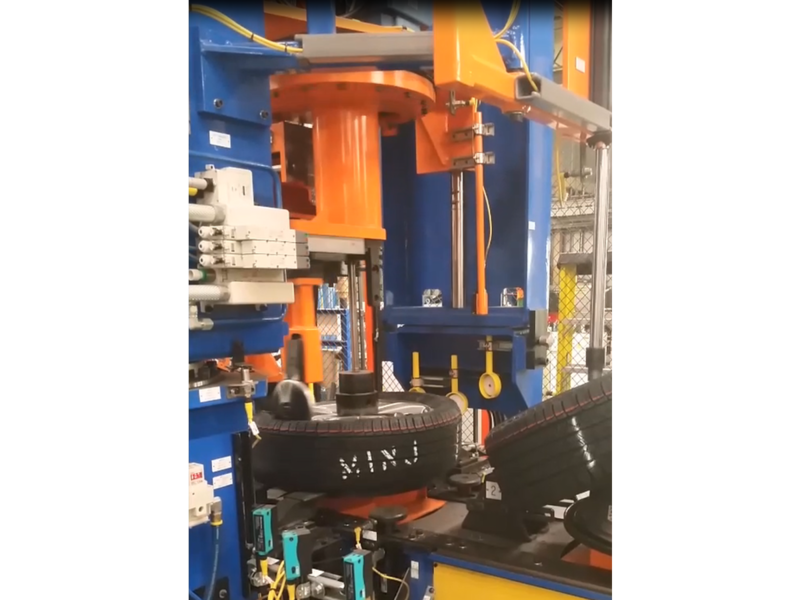 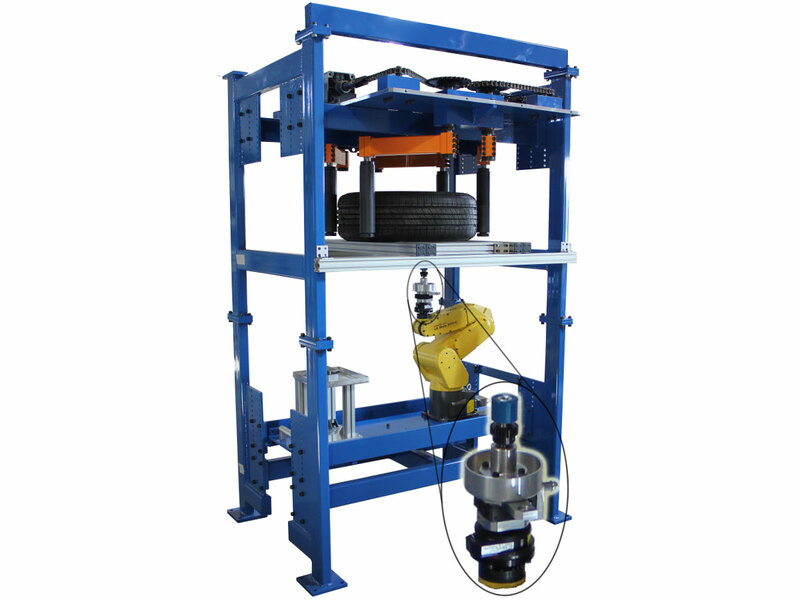 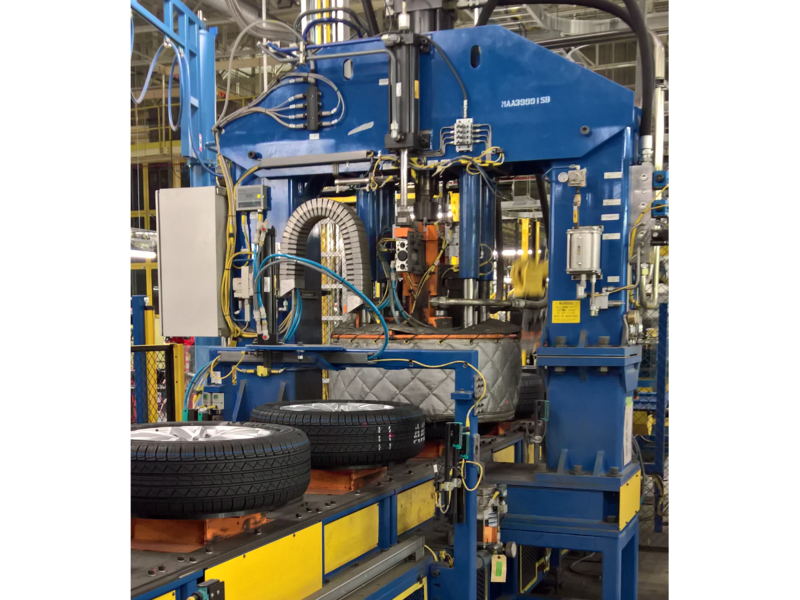 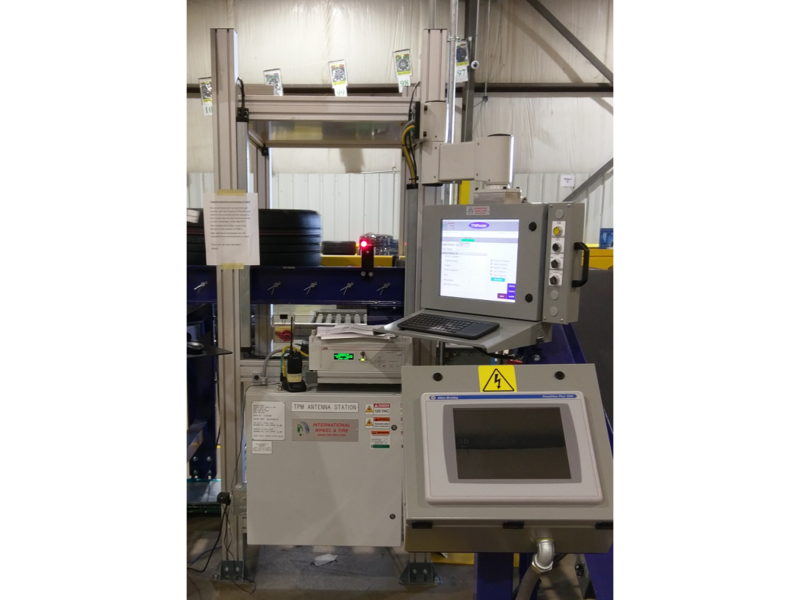 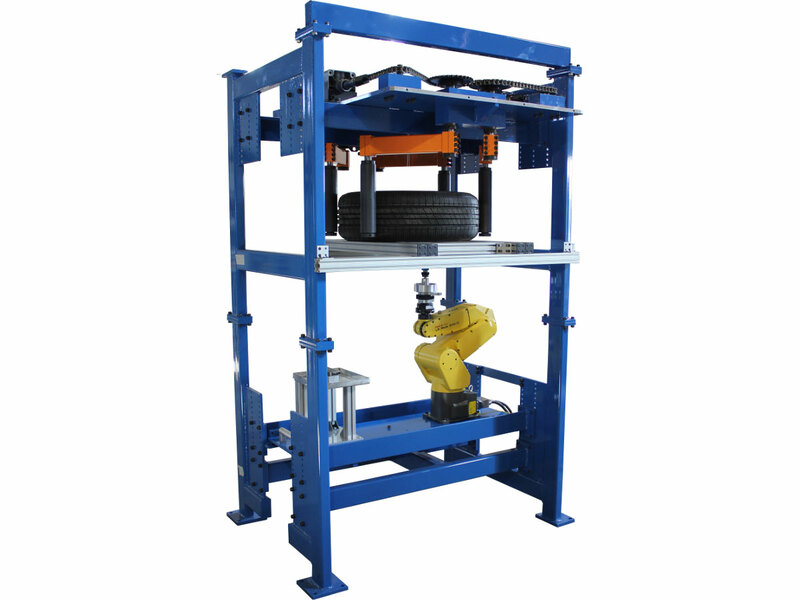 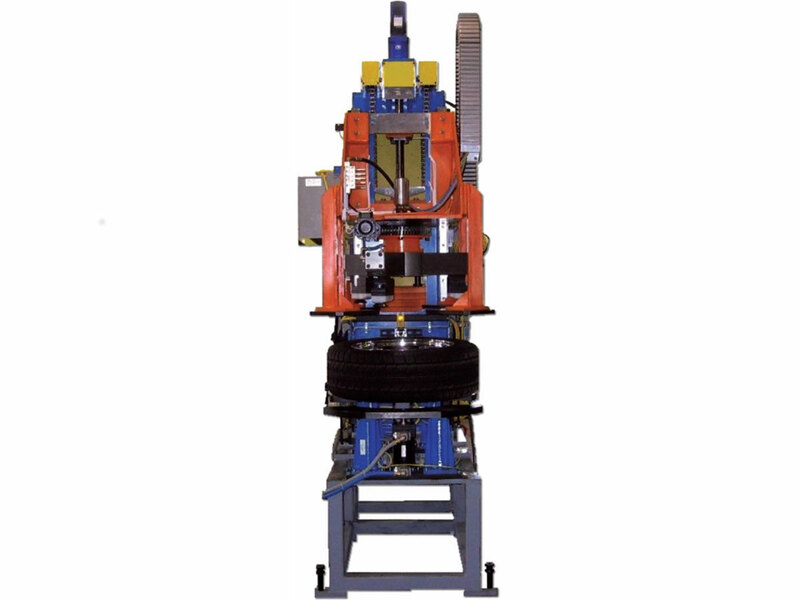 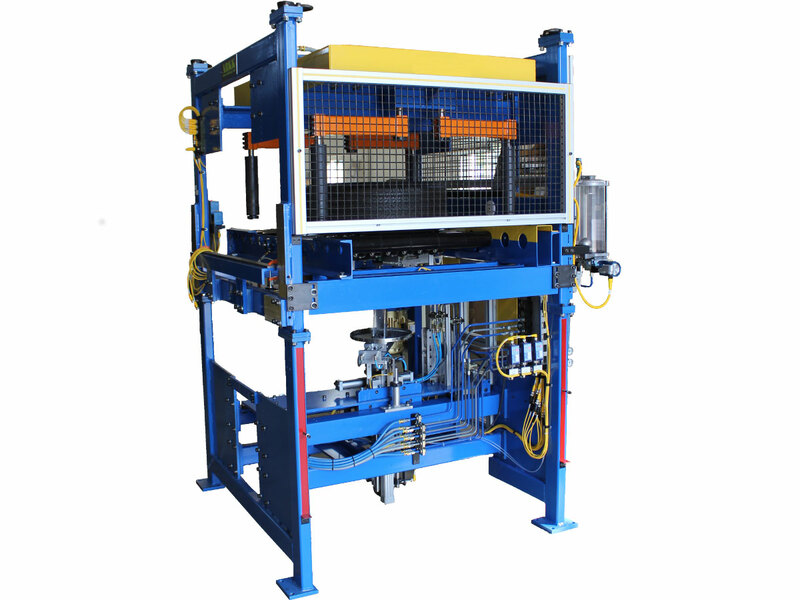 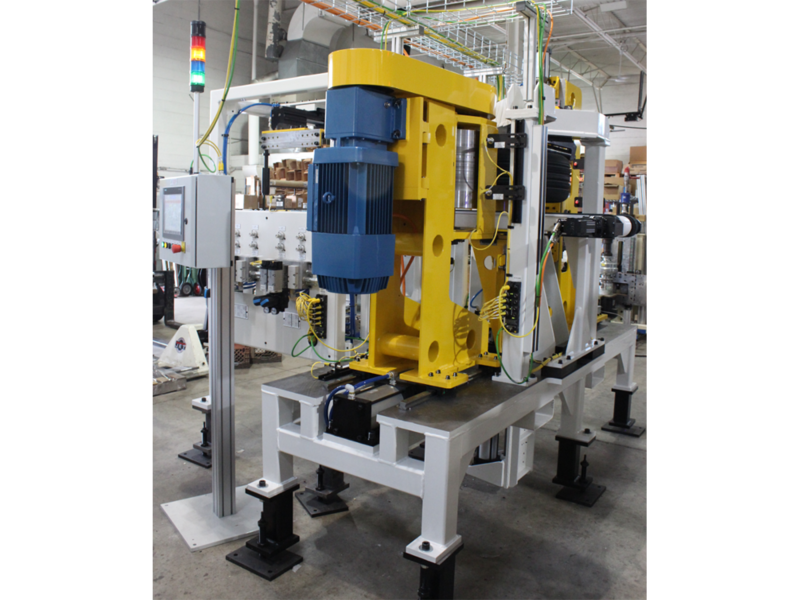 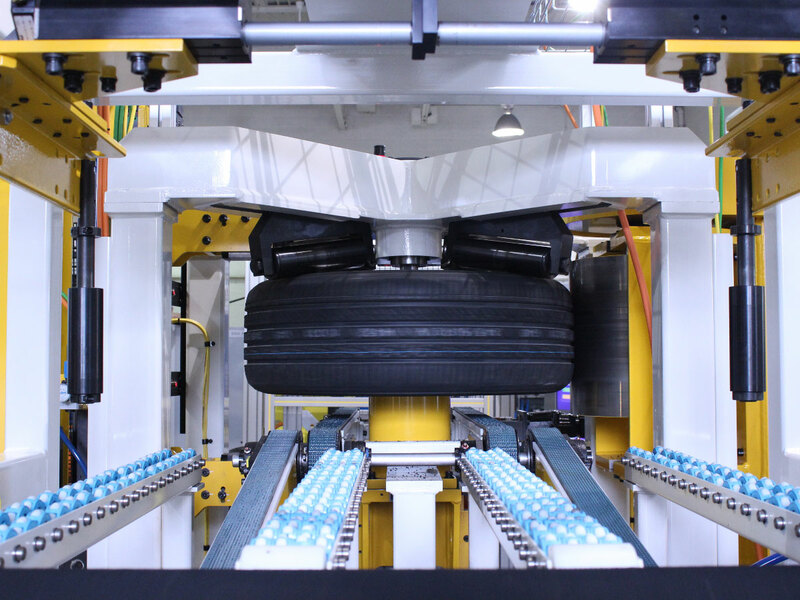 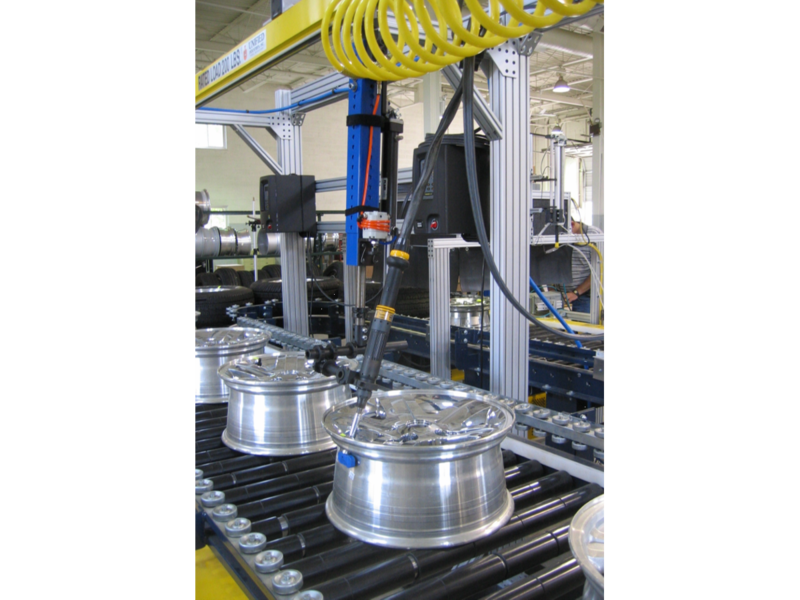 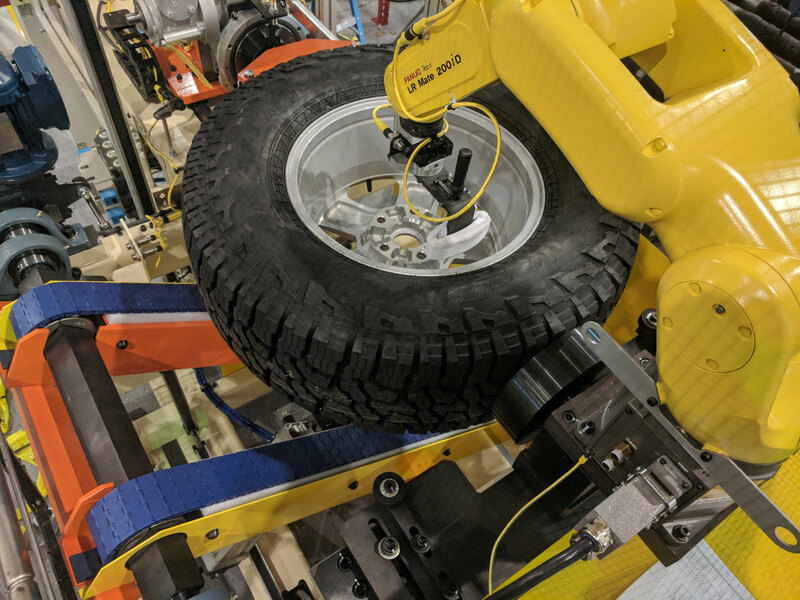 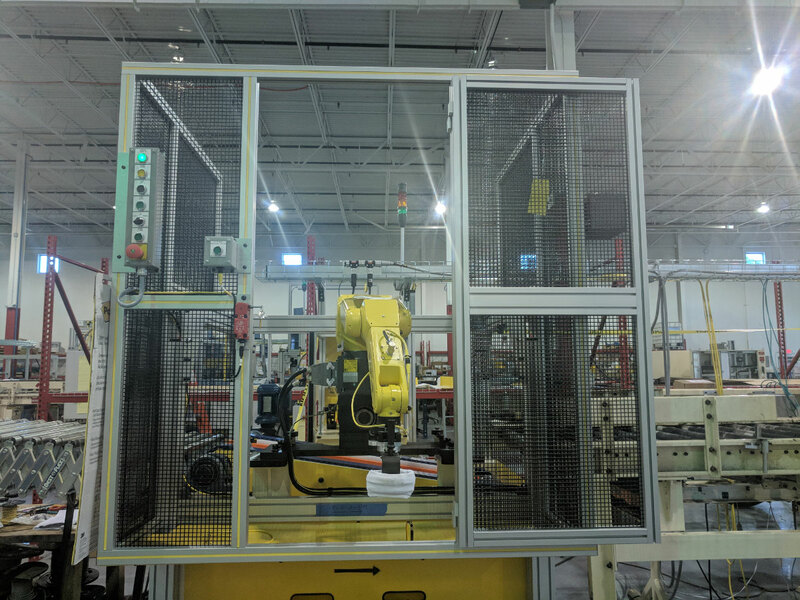 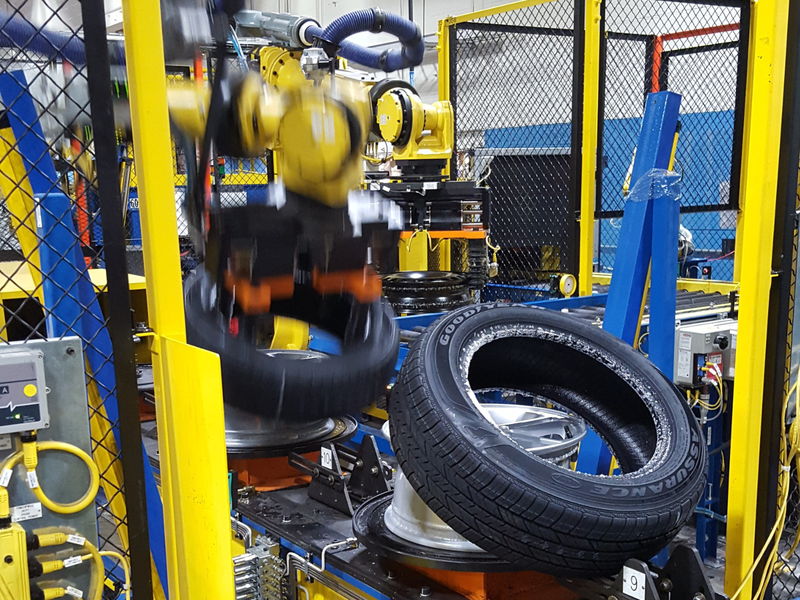 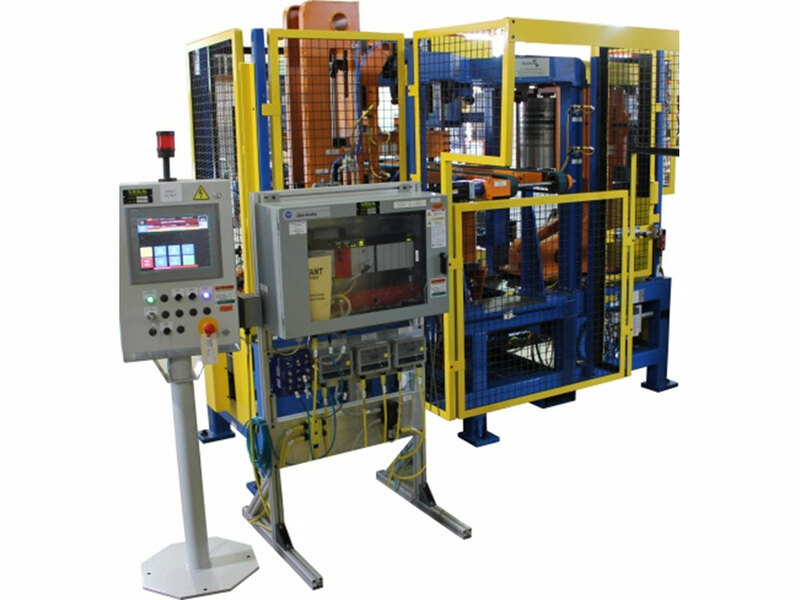 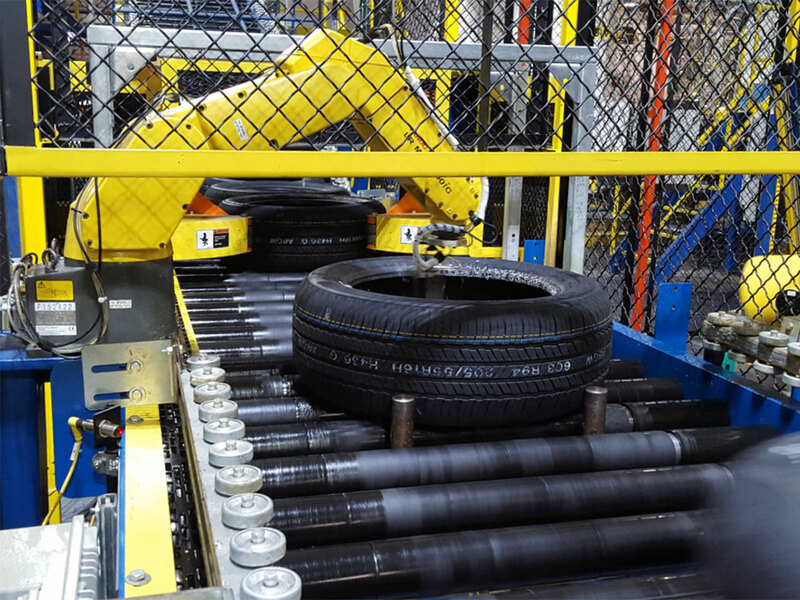 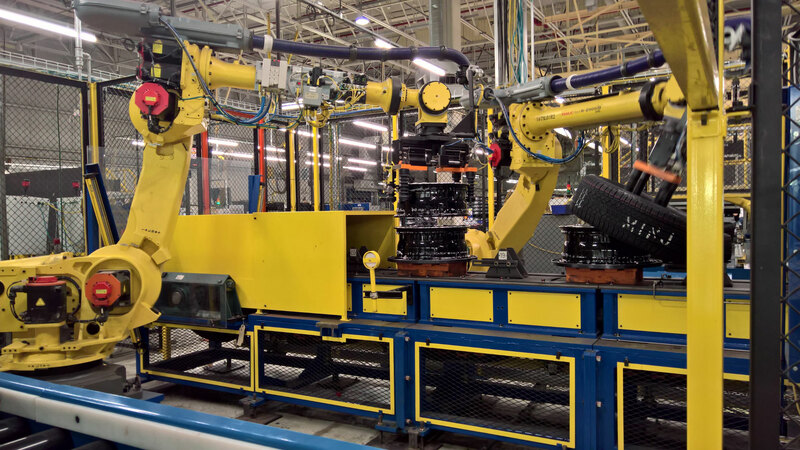 These Assembly systems in addition to our Wheel & Tire Testing & Integration Solutions provide our customer with a single source for their Tire & Wheel Automation needs. 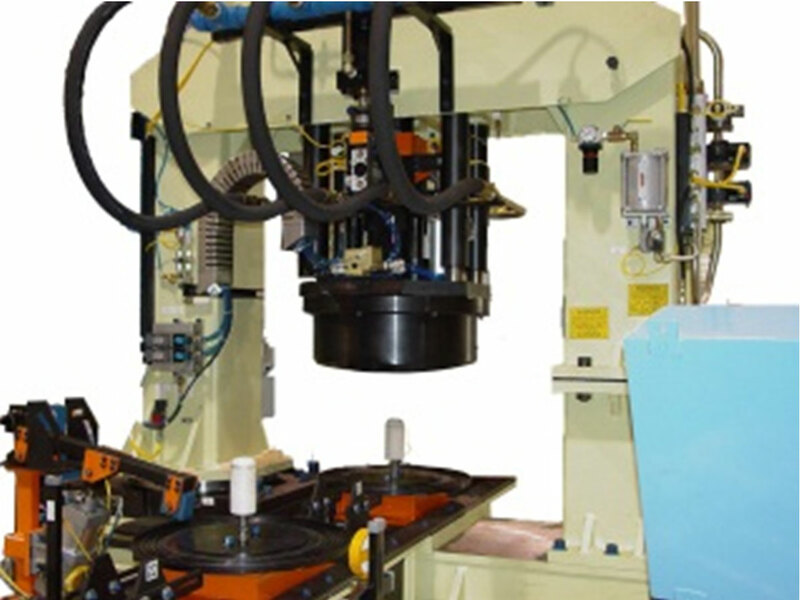 Our goal is to eliminate any finger pointing on tooling and equipment issues, so our customers can focus on production. 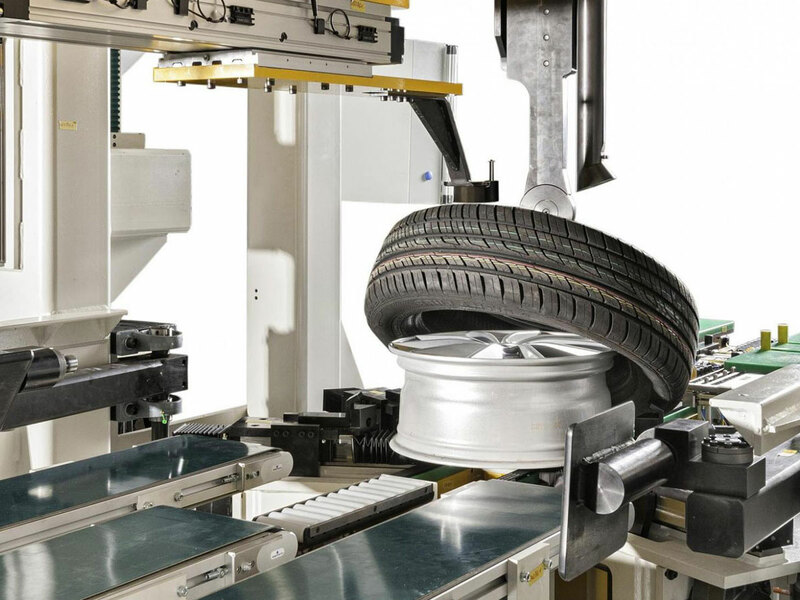 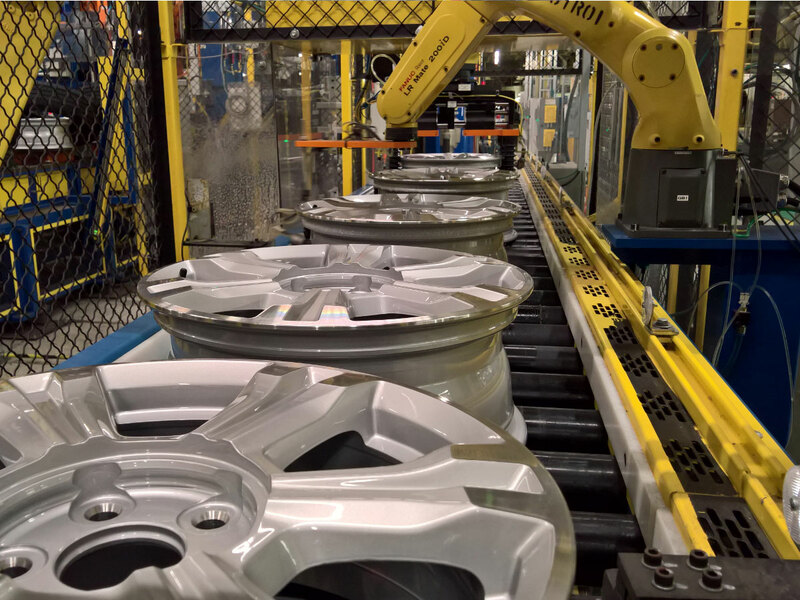 Our wheel and tire soapers are used in the assembly process to apply a lubricant (commonly referred to as soap) to the wheels and tires before the tire is mounted on a wheel. 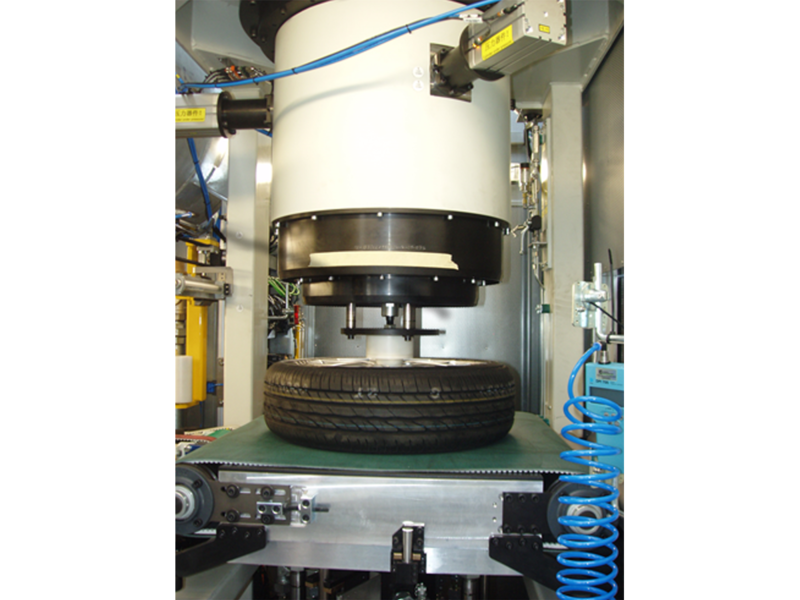 A rotating speed of 15 m.p.h. 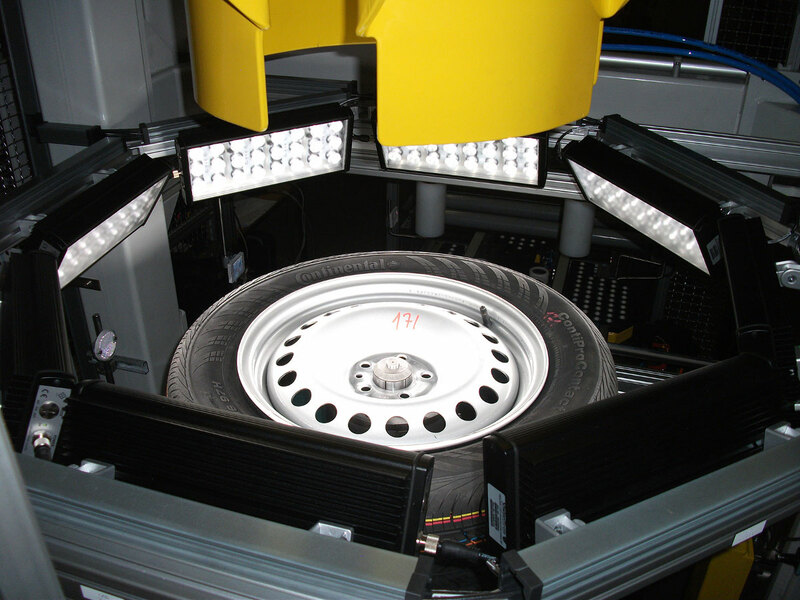 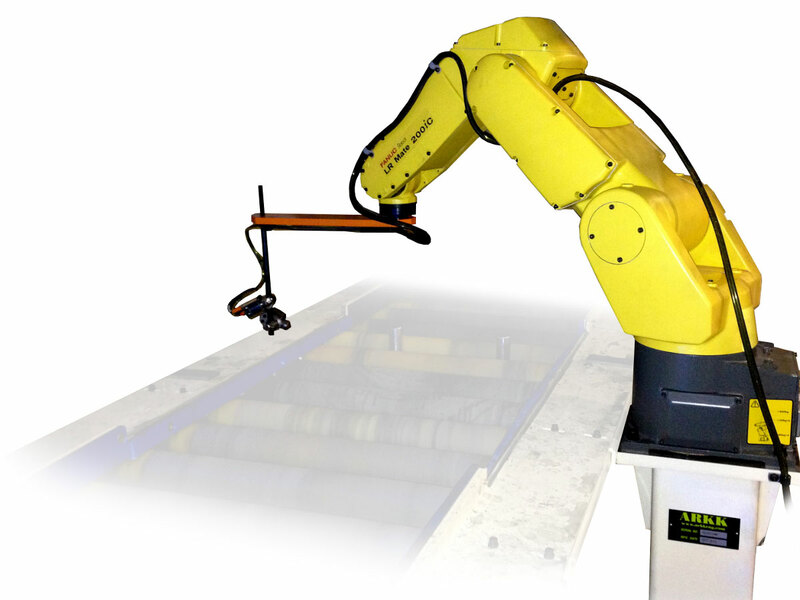 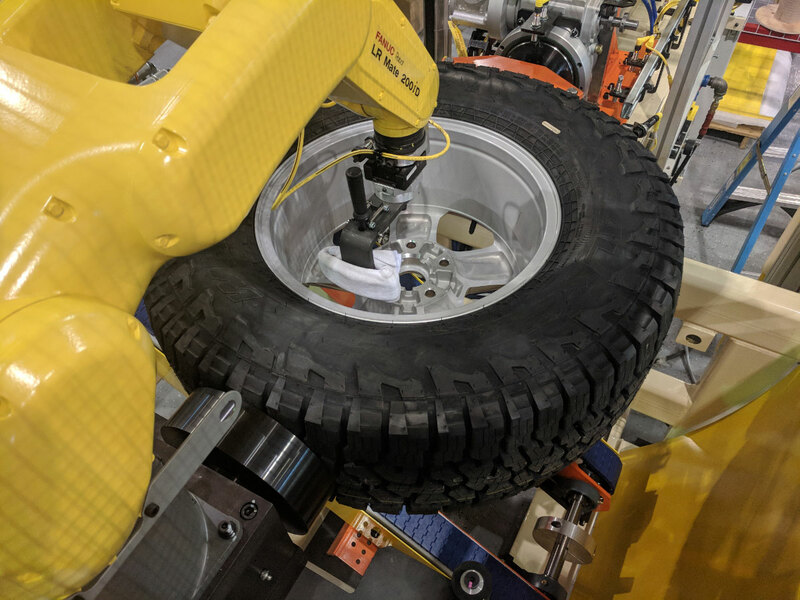 Our Robotic Wheel Cleaner are used to automatically clean the location of adhesive weight application on the inside of the wheel prior to weight application.